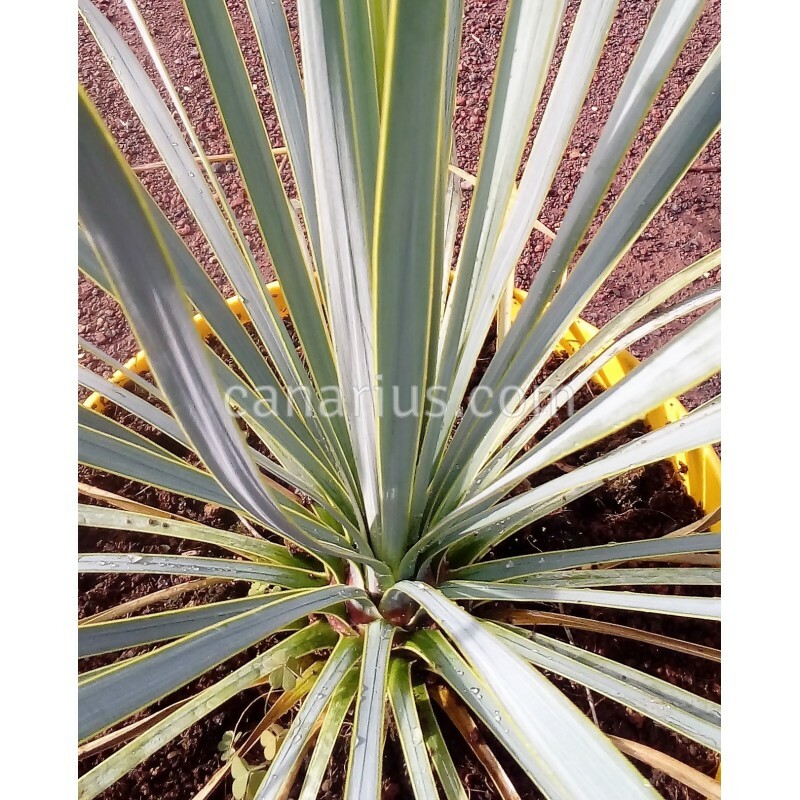 Beautiful tree Yucca with blue-grey foliage. 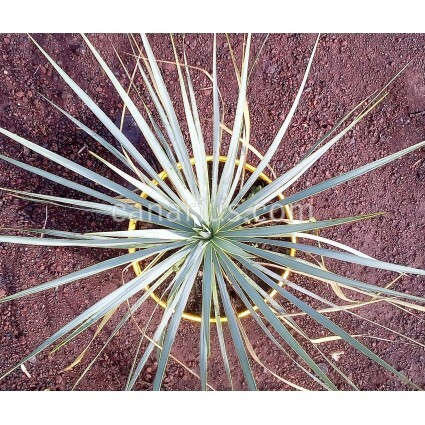 Solitary unbranched trunks hold the large spherical crown of blue-gray narrow flexible leaves. Spectacular white inflorescences tower above the crown. 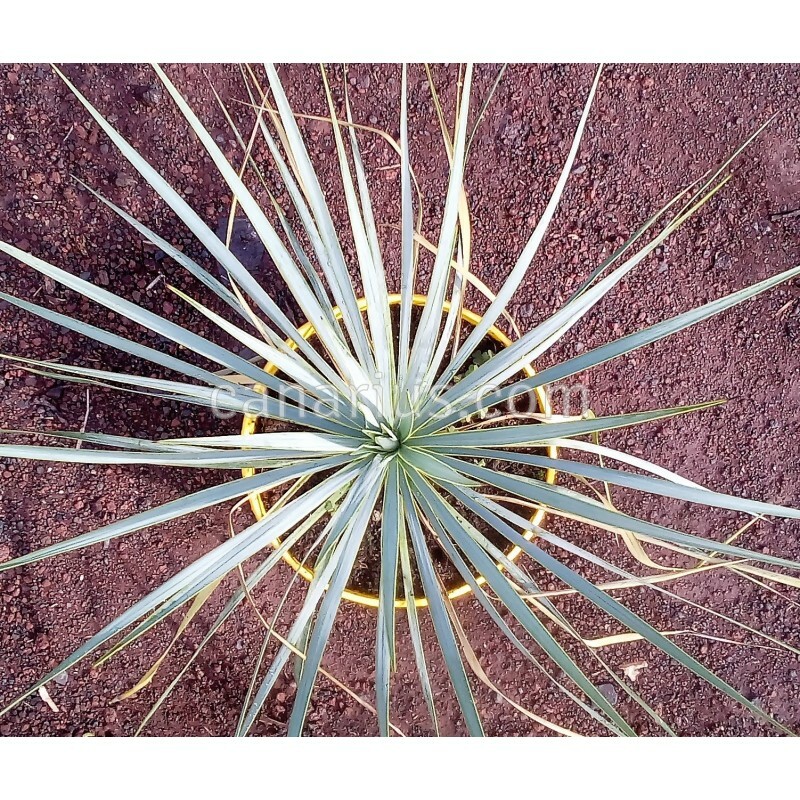 Yucca Rostrat ship plant grown is native to the Chihuahua desert in N Mexico and W Texas, and slow growing and very hardy to cold and drought. 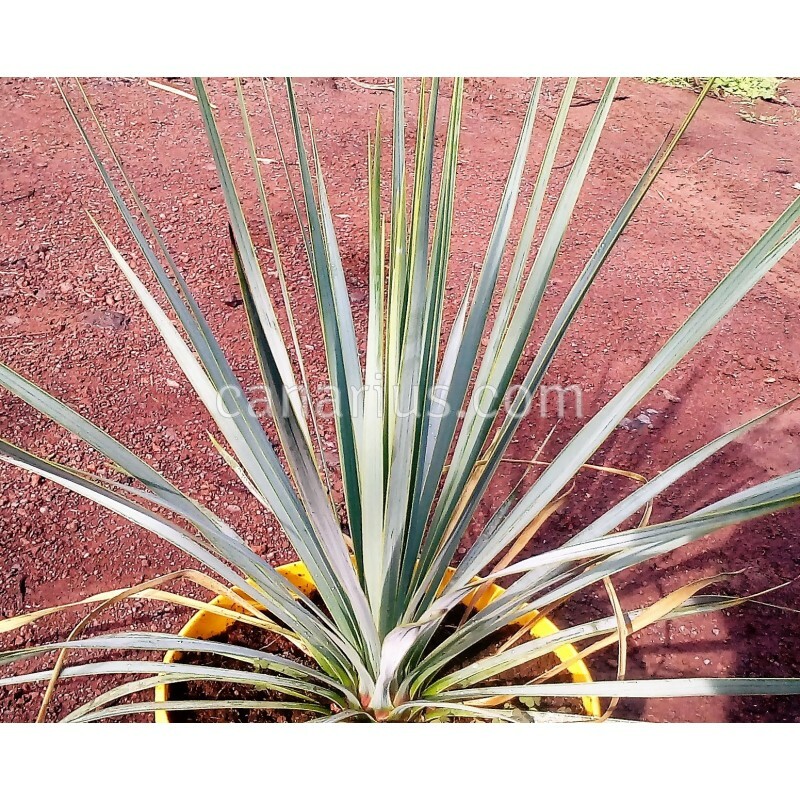 We ship plant grown in full sun in a 16 - 18 cm pot.